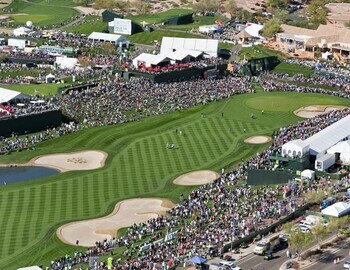 Watching a few minute of the Phoenix Open yesterday, this is a golf course, stripping, straight lines, deep green color contrast, the whole nine yards. If there was ever a golf course to wear a tuxedo, this is it! SPECTACULAR! I would encourage anyone to watch a PGA event in person or volunteer, it is an awarding experience.